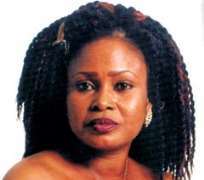 In the early 80's when no one knew there would be what is now known as Nollywood, the likes of sultry actress, Barbara Soky held sway as queens of the tube. Not only did she make her name as one of the most sought after actresses in the country, she was one of the few in the world of make-believe that made a successful incursion into the music world. But somewhere along the line, the bubble burst and Barbara dissolved into oblivion. Today the Rivers State-born icon is back and singing a new song. A song of repentance if you don't mind! In this emotional and heart-rending interview, Barbara Soky recounts her story of deception, betrayal and blackmail as well as the reason she had to go on that long career break. When you starred in Mission To No Where, were you staging a come back to the industry that gave you fame? Mission to Nowhere is just one of the many movies that I starred in after my come back to the movie industry. My come back actually started with the Wale Adenuga Organization and that was with 'The Super story', 'This Life' and 'Odd world'. My roles in the movies prepared my come back to the movie industry. And since my return , I have starred in some other movies like 'My Desire' where I played mother to Kenneth Okonkwo and wife to Pete Edochie. I particularly liked 'Mission to nowhere' because if you see the movie, you will just fall in love with it because it is a good one. Although my appearance in the movie was brief, it was a very good story and Teco of course is a wonderful director. I have a lot of respect for him because of his skills. In fact when I watched the movie myself, I said this is very fantastic because I did not even know who killed the woman until the very end of the story when I discovered that it was the house help that killed the woman. So, that is the kind of thing that we are talking about, suspense that will hold you from the beginning of a movie to the very end of the movie. I think I am lucky to be part of that great movie. I also have been in several soaps like 'Tempest' by Amaka Igwe who is also a very good director. There is a current one that is running now, “Secret and scandals' . Basically I started with the soaps. Going down memory lane, was Mirror in the Sun your launching pad to stardom? Before Mirror in the Sun, I was involved in a soap “Inside Out” which was back home in my state, Rivers State. It was quite a hit in that zone. It was an exchange program from Port Harcourt Television to other states. I did that before I joined the cast of 'Mirror in the Sun'. Mirror in the Sun, of course, was the explosion; it shot me to the very top..
Why did you go under? (Laughs) Well, it was necessary for me to go on that long break because I had reached a point where I felt, I needed a break. And my reason for taking such decision was purely personal. At that point, I knew that I had to take that break because so many things were happening at the same time, things that were beginning to affect me as a person. The sacrifices were becoming too much for me. I was young and the fame that followed was too large for me, just too large for me to handle. Things were not same anymore, unlike now where everything goes. The question then was, who is this girl? Where does she come from? I mean… what's this? Some people just couldn't deal with it and there were so many forces against me . And I felt like, if I was good at my job, I did not see any reason why anyone would want to feel bad about it. Then, it occurred to me that my life was in jeopardy. I was in pain and fame was not helping me in any way. What would you say could have been responsible for that? Were you too young to handle fame or were people simply jealous of you? It was not even that. It was a societal thing and I guess the way we do things in our country. In America, young people become stars and they remain stars because everything is taken care of. The system is such that you can become what you want to become in life without any interference. A twenty year old girl can become a star, except in few situations where people go astray and it is mostly as a result of bad association. But in this part of the world it is different. I'm sure you know what I am talking about. In every field of endeavor, when one starts to grow, people try to subdue you. So, if you are not careful ,you will begin to wonder what is going on. Yes, fame and stardom were involved but the issue was not a matter of my not being prepared, it was more like I had too many issues to deal with at the same time. In the early days when you came into the business how did your parents take it? I lost my father when I was very young and I come from a large family. Within the family, they had their different reactions but you see, I just felt that acting was my calling. I wanted to be an artiste. And I knew, I was going to achieve that ambition. So, I was dogged about it even though my mum didn't like it and still doesn't like it. She has her reservations about acting. The important thing is that I was able to withstand all the hurdles. And I went ahead to realise my ambition, but then, I paid dearly for it. I did because you see; you have different obstacles to deal with. First of all, there is the issue of association and there is also the issue of friendship and relationship and other unbecoming experiences especially when one has been very much exposed to the world. There is the tendency for a lot of things to happen around you but I thank God for his mercies because you suddenly realise that you don't have true friends. That's the very truth. It is like finding yourself in the middle of the sea and not being able to drink water. So, I liken it to people, yes people, but no one in particular. That is how bad the situation was. Realising that I had been a victim of wrong association, I cried on to the Lord that I needed a break. There is also the issue of deception, deceit, slandering, blackmail, envy, jealousy; all of these reared their ugly heads. And I couldn't discern who was coming after me. A lot of people were out to bewitch me. They came to you like friends but at the back of their minds lies wickedness. Deception is a terrible thing and people handle it differently, but for me, I am a very deep person. Everybody is jumping around you, going around you and at the end of the day, you are just on your own. You can't find anyone to tell you the truth. The real people don't come around you. It is the fake people that would choke you up. Wrong association is the worst thing that can happen to anyone especially those in the entertainment industry. What would as you consider your greatest mistake in life? My greatest mistake in life was to have the wrong people as friends. I'm saying this now because I don't wish it for anyone, not even my worst enemy. But the Lord came to my rescue because all along, he was there for me. I just did not listen to his voice because there was too much noise around me. Finally I had to retrace my step and go back to the beginning and serve my God. And it didn't really matter how long it was going to take because I needed sanity and peace. The pain had become unbearable but the good Lord revived and welcomed me after my days in the wilderness. It's only in the wilderness that you can hear and see clearly. It was there I began to hear his voice clearly. How would you compare the entertainment industry then to what is obtainable now? Of course, the difference is clear and you don't need a soothsayer to tell you that. In terms of quality of production, acting and all that, thereis a world of difference. I may be considered an old school, but I know that way back in the past, we had more work to do than now. I recall that then , we really had to work. I was definitely passionate about what I was doing then because it was not for material gains but for love of the job. Today's world is different. In our time , there was depth in acting and it wasn't just for the money. But today, the situation has changed. (Laughs) I remember, when I featured in “Inside out' in Port Harcourt, I was the highest paid artiste. I was earning N200 (laughs). But again, the money had value then. I'm saying this, for you to know that even as little as it were, we received it with great joy because it was for the love of the profession. My brothers would scream at me 'what kind of job are you doing' because they knew how seriously I was with my career. Even then, the money wasn't constant. That would be the issues of how my life started, even before I was born. Between my mom and my dad, I'm the only child. At an early age, I lost my father and that marked the beginning of my journey through life at a very tender age. My mom had a very big heart and she has been with me all this while. Today, she is the only true friend I had until my daughter came along. I have told you about my experiences with friends who turned out to be betrayers. I have also told you about such situations that were sometimes unpleasant to me. Usually, the young are always restless, and sometimes foolish. I have been there but as one begins to grow up, one then realises that at times, what you seek for outside of you is actually inside of you. So, I have stopped looking outside and begun to look inward. And I have discovered to my surprise that no one really wants you to be happy; it is shocking but true. I have always been an introvert and then, I found myself in this acting profession, a kind of noise making profession. Soon, I was at a cross road, a former little girl, the home girl, I found my self in the centre of everything. And at the end of it all ,my dream faded. But the Lord has been very good to me. He chastised me a little, but now, I am like, 'yes Lord, I hear you! What has acting brought to you? What is your wish for the moment? My wish and my prayers are directed to the younger talents because the future belongs to them. The mistakes you make today will definitely help in shaping your tomorrow. Sometimes, you need to make these mistakes just like Joseph brothers did in the Bible who forgot to kill him to prevent him from becoming king over them. If they have not forgotten to kill him, God's word would not have come to pass. So the young ones should beware of fast life; it leads to fast death and desperation leads to destruction. I don't want to talk about it. I want to keep that to myself. In those foolish days, (because I still refer to my past as foolishness), I was gullible, vain and stupid. When you are in a relationship, you talk about it and then tomorrow, it is all over the place. And before you say Jack, they have destroyed it.. In other words you have learnt your lessons? I have, many times over. If I did not, I will be a fool forever. After all ,God created us to make mistakes and learn from the mistakes. Mistakes are not exclusive to me alone and I'm lucky because I learnt. So whatever God has given me, I want to keep it inside of me because that is the only way I can protect them. The slanderers and blackmailers are roaming the streets like a Yoruba adage will say, Esu o nile, on rin kiri ni.